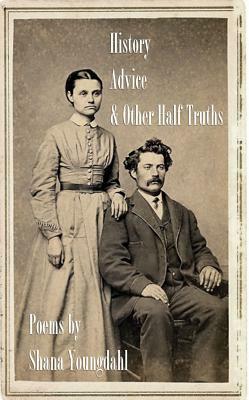 Shana Youngdahl’s full-length collection History, Advice and Other Half-Truths was published in 2012 by Stephen F. Austin State University Press. She is also the author of three chapbooks, most recently Winter/Windows from Miel Books (2013). Shana teaches writing at The University of Maine Farmington, where she also co-directs the Longfellow Young Writers’ Workshop. She has two daughters, a husband and one cat. Visit her online at www.shanayoungdahl.com.